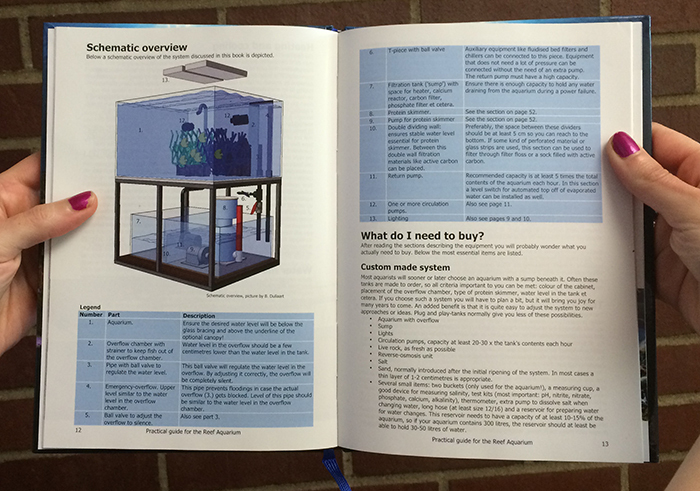 By Randy Donowitz Respected Dutch hobbyist and author Tanne Hoff has released an updated English language version of his popular 2005, Practical Guide For The Reef Aquarium that proves a welcome addition to the library of hobbyists of all levels. This slim yet surprisingly comprehensive book is the perfect primer to place in the hands of beginners still trying to come to terms with the basic terminology, concepts, animals and options presented by the hobby. Rather than attempt to delve into all the different reef keeping methodologies and cutting edge experimental systems, Hoff makes the wise choice to draw from his personal experience and focus on the methods that have proven successful over time for him and others that he has helped. 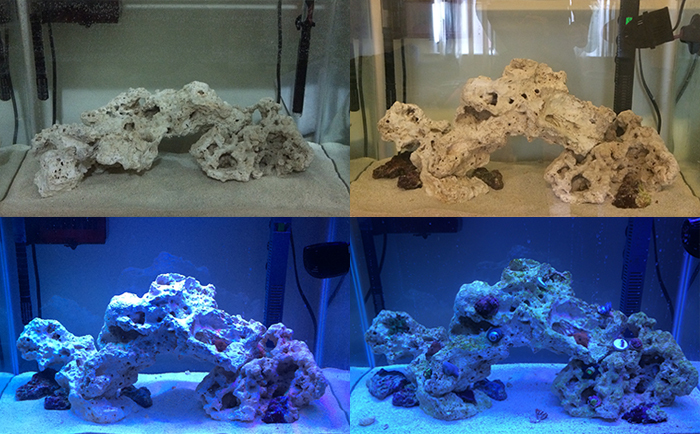 The hobby can be really intimidating and confusing, and giving aspiring reef keepers a specific method to follow is probably the most valuable thing they can be given. 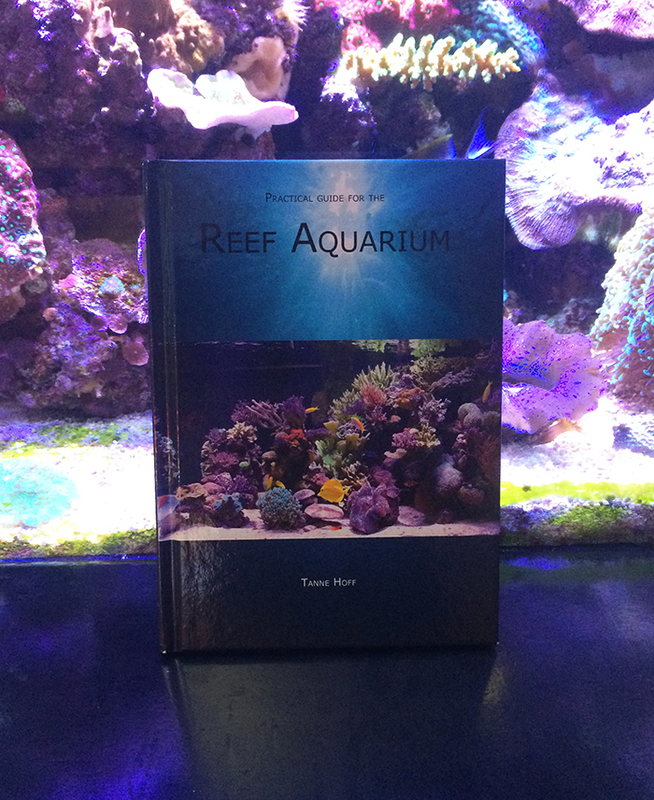 From the Introduction: “I wrote this book with the aim to help as many people as possible to be successful with their reef aquarium. I do realize there are more methods to achieve great results, but experience has proven that this method is a good start heading to success. I do advise beginners to stick to the methods described in this book for at least a year before eventually venturing into experimental methods. By doing so, you will get a feeling for the hobby and will have a method with which you know you will have success to fall back on.” Divided into brief, but well thought out chapters, Hoff covers all the basics of filtration (“the heart and lungs of the system”), lighting, heating and cooling, water movement and system design. The section on water chemistry is the most in-depth, but like the rest of the book, the information is precise and to the point, and does not delve into excessive complexity preferring instead to keep it simple and useful rather than overwhelm. 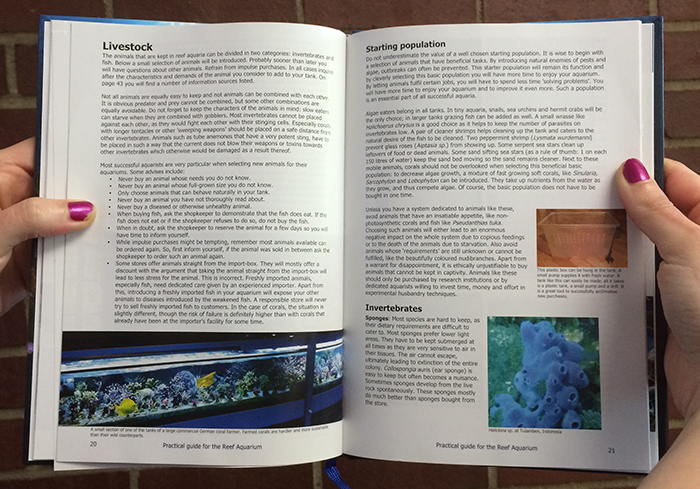 About a third of the book’s 56 pages are dedicated to brief descriptions (with photos) and husbandry sketches of a variety of commonly encountered corals, invertebrates and fish that include both good and bad choices for the beginner. While it is not an exhaustive sampling, the careful reader will take away the critically important notion that different animals have differing requirements and that there are lots of things to consider in order to avoid making mistakes. 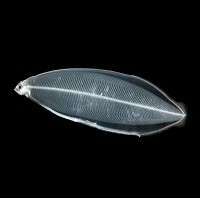 Hoff also makes sure to touch upon the idea of avoiding the introduction reef pests while identifying our most common plagues – nuisance algae, Cyanobacteria, Aiptasia and Majano Anemones, and flatworms – along with suggestions for dealing with them. From my point of view, the most useful aspect of the book is that it contextualizes all of the information by posing all the questions beginners need to ask themselves as they set out planning their system. It is important to have a plan and to understand what you are doing and why. It is also important to stick with it for awhile until your experience allows you to make informed, well reasoned decisions regarding changes to the system or methodology. 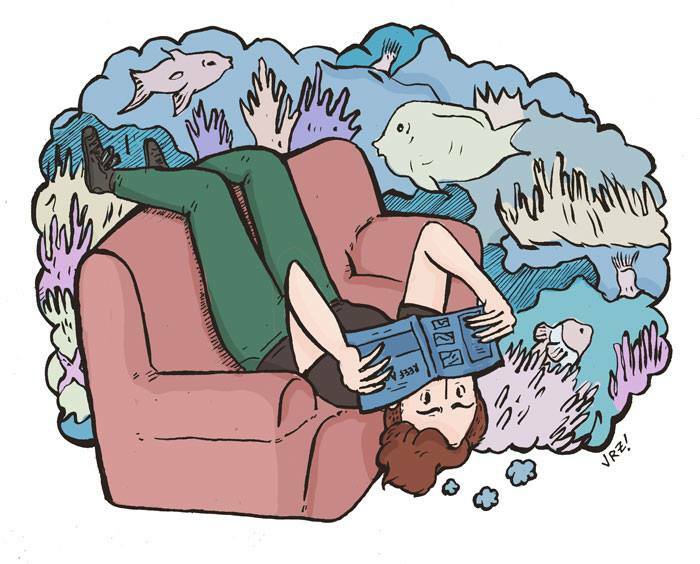 In short, this practical guide introduces the reader to the mindset of a successful reef keeper and provides solid foundational knowledge from which to begin building the reef of your dreams. With this practical guide, new hobbyists can easily begin to master their own developing tanks – like this one – pictured on day one, twenty-two, thirty-three, and sixty-five. Photo by Brian Cook. At a cost of roughly $25, this really is the perfect book to put into the hands of a beginner before they waste a lot of time and money. The only drawback, and hopefully this is a temporary one, is that the book is not yet widely available in North America. Those interested can contact the distributor D. van Houten Imports about availability in your area. I have already recommended this fine publication to several people and will continue to do so in the future. In fact, this review copy is going straight into the hands of my new assistant who will be quizzed on the basics in short order. Image by Julia Zuckerberg AKA the new assistant in question.